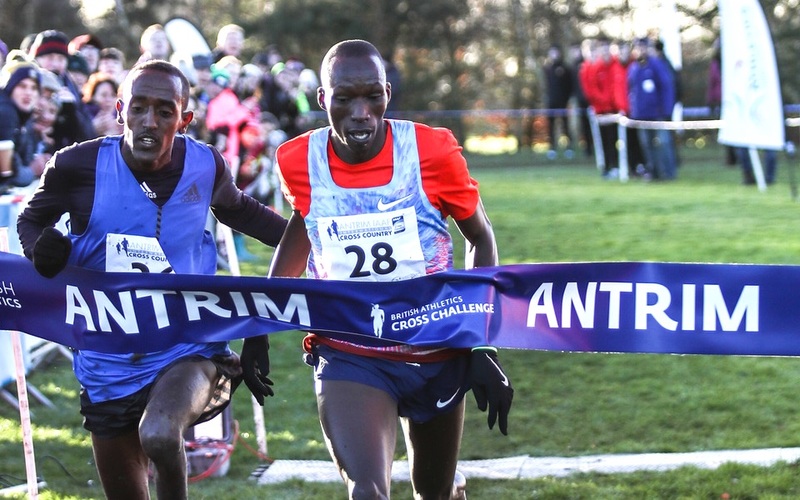 Timothy Cheruiyot and Margaret Chelimo Kipkemboi won the Antrim International Cross Country on Saturday (January 6), with Andy Vernon and Verity Ockenden clinching full British Athletics Cross Challenge points. 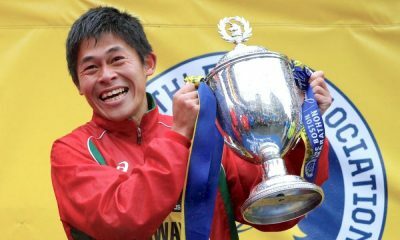 Cheruiyot and Kipkemboi sealed a Kenyan double with both senior races going down the wire at the CAFRE Greenmount campus. World 1500m silver medalist Cheruiyot went into the race as the favourite and as proceeding got underway a group of seven made an early break with Cheruiyot comfortably in the pack. Great Britain’s Andy Vernon of Aldershot Farnham and District was amongst the seven and was pushing the pace at the front. As the 8km race neared its conclusion Cheruiyot was eager to break, however, he could not quite shake off compatriot Mogos Tuemay. In the narrowest of finishes Cheruiyot just pipped Tuemay to the tape in 23:12. Steeplechase specialist Soufiane Elbakkali of Morocco finished third to complete the podium. 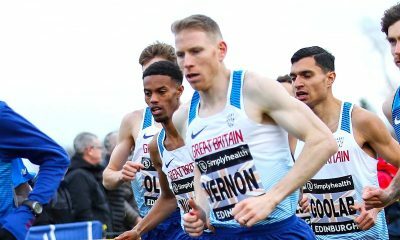 In fantastic return to form Vernon finished a very impressive fourth, leading the British contingent home and sealing full points in the penultimate Cross Challenge event. Welsh athlete Kristian Jones followed in fifth, USA’s Trevor Dunbar sixth, Ireland’s Hugh Armstrong in seventh and Scotland’s Luke Traynor in eighth, followed by Irish pair Kevin Maunsell and Mark Hanrahan. James Hunt (Wales) was the best among the rest of the British field in 12th, with Daniel Nash (Wales) 14th, Andrew Douglas (Scotland) 15th, Lachlan Oates (Scotland) 15th, Ross Gollan (Scotland) 18th and Abed Teweldebrhan (Wales) 20th. Neil Johnston was the first of the Northern Irish runners finishing in 17th place. Ireland’s Fionnuala McCormack took the control from the off in women’s senior event on the hunt for her third win at the Antrim International. As the field began the second of three laps it was McCormack leading with a group of five athletes close behind. However as the race neared it’s conclusion Ethiopian Fotyen Tesfay took charge, before Kipkemboi came to the fore to seal a narrow victory in a time of 19:55 over the 5.4km course. Tesfay came in next just a second adrift with 19:56 and in third Bontu Edoa Rebitu of Bahrain clocked 19:59. Verity Ockenden of Swansea Harriers finishing a great fourth to clinch full points in the Cross Challenge event, with two-time European XC champion McCormack in sixth. Charlotte Christensen of Cambridge and Coleridge finished an impressive seventh, with Jenny Nesbitt finished eighth, followed by Northern Ireland’s Fionnuala Ross in ninth. 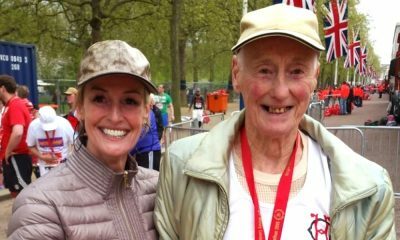 The top British results after Nesbitt who was representing Wales were Annabelle Simpson in 11th, Melanie Wilkins (Wales) 12th, Rebecca Burns (Scotland) 14th, Welsh athletes Bronwen Jenkinson and Sian Frances Edwards finished 15th and 20th respectively. Celtic International results: Scotland took another win over Wales in second and Ireland third. 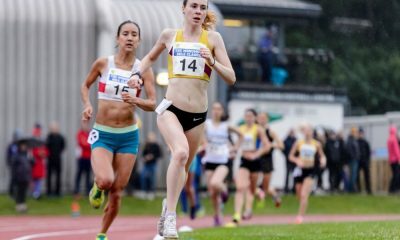 Over a distance of 3.6km it was a Scottish victory in the shape of Eloise Walker (Edinburgh AC) who clinched the win by fourteen seconds and the Cross Challenge event ahead of Kate Gallagher (Ireland) in second and Stephanie Cotter (Team East Lothian) in third. In the Celtic International results it was double Gold for Scotland, with Ireland second, Wales third and NI and Ulster fourth. 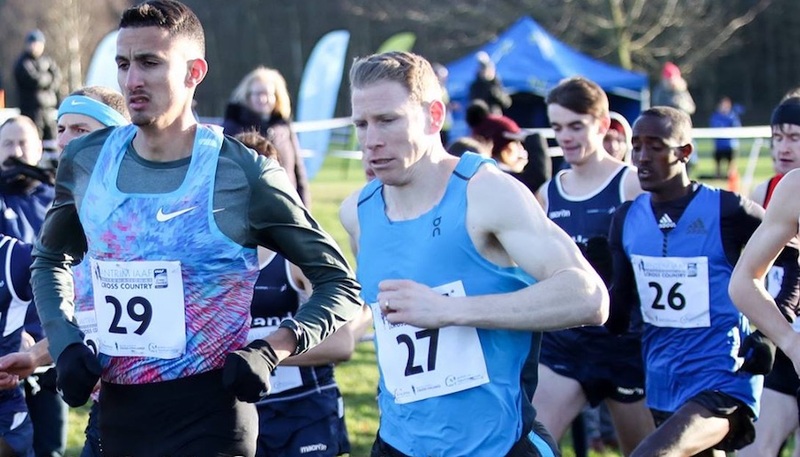 The under 20 men battled over 5.4km and it was Jamie Battle (Ireland) who took a fine win from Rory Leonard (Scotland and Morpeth Harriers AC) in the closing stages of the race. Leonard impressed as he is still an under 17 athlete and finished only 5 seconds behind the winner. Sean O’Leary of Ireland was third, with only 11 seconds separating the top three. In the Celtic International competition, it was a replica of the Junior Women’s results with Scotland taking the honours, followed by Ireland and Wales in second and third, NI and Ulster finished in fourth.